Touch-enabled human machine interfaces (HMIs) have effectively revolutionised the way in which our whole society works, and we would probably find it extremely hard to live without them now. They have almost become ubiquitous when it comes to allowing us to interact with modern consumer technology (such as smartphones), but their reach is increasingly going a lot further than that. Domestic appliances, industrial equipment and home automation systems are all beginning to employ touchscreens, with numerous opportunities for proliferation starting to open up in other areas as well – like retail, hospitality, public transport, etc. In many cases, engineers serving these sectors have no prior experience in HMI construction, but now need to think about this aspect – and that is proving to be a major challenge. 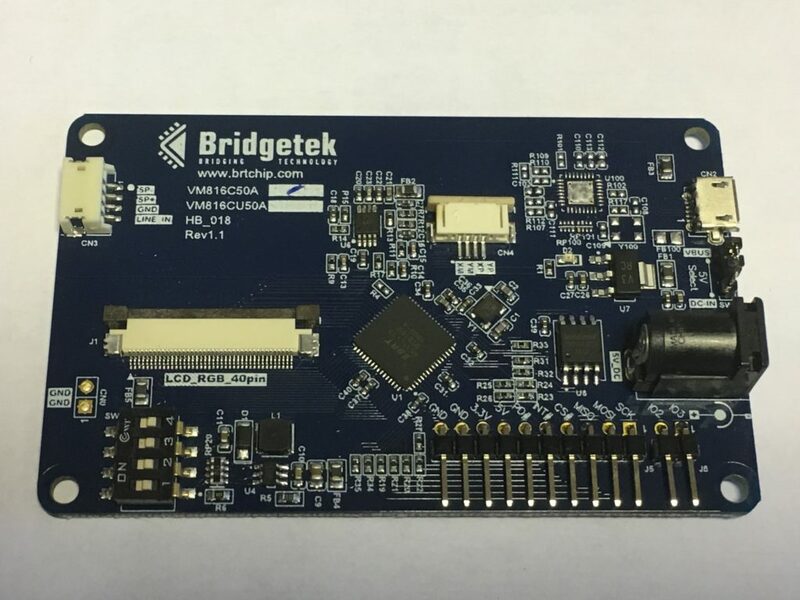 In order to support the development process, and help engineers create superior HMIs, Bridgetek has continued to strengthen its Embedded Video Engine (EVE) ecosystem over the course of the last 12 months. Last autumn it released the VM816C series of EVE-based display modules. Powered from a 5V source, these compact units (measuring just 54.1mm x 85.60mm) are based on the company’s award-winning EVE graphic controller ICs, with their unique bandwidth-saving, object-oriented architecture. They benefit from the third generation BT816 EVE ICs’ adaptive scalable texture compression (ASTC) functionality, which significantly reduces the HMI’s graphics processing overhead. Consequently, video playback and animation features can be benefited from, even on resource-constrained systems. Each VM816C board possesses a 3-stage audio filter, plus a power amplifier, as well as a connector port via which an external speaker can be attached. 16MB of flash memory storage has been encompassed too. The boards can be supplied with a 5” format 800×480 pixel resolution touch-enabled (resistive) TFT display incorporated. Versions are also available without inclusion of a display – thus allowing engineers to pick a display that best fits their particular application and budget requirements. There are versions with High-Speed USB connectivity, plus other versions with quad SPI I/Os instead. They are backed up by Bridgetek’s expansive HMI development toolchain – which comprises the EVE Screen Designer, EVE Screen Editor and EVE Asset Builder packages. This gives engineers access to a straightforward to use visual design/development environment where HMI systems can be put together rapidly, and subsequently evaluated, by simply dragging and dropping the desired elements.